It may still feel like the middle of Winter, but actually Spring is just around the corner which means so too is Melbourne Spring Fashion Week. In lieu of this year’s upcoming fix for fashionistas, and as part of the cultural program surrounding MSFW, ACMI present a short season of Fashion Icons on Film; featuring four premiere documentaries celebrating the fabulous world of fashion and four of its most distinct and influential designers; Ultrasuede: In Search of Halston (2009), Beyond Biba: A Portrait of Barbara Hulanicki (2009), Ralph Rucci: A Designer and His House (2008) and Celebration (2007) about the late, great, Yves Saint Laurent. Beyond Biba: A Portrait of Barbara Hulanicki – It’s thirty-five years since the doors closed on Biba for good and designer/founder Barbara Hulanicki is now quite comfortably situated on the other side of the world immersed in her latest creative design endeavour on Miami’s South Beach: hotel and nightclub interiors. 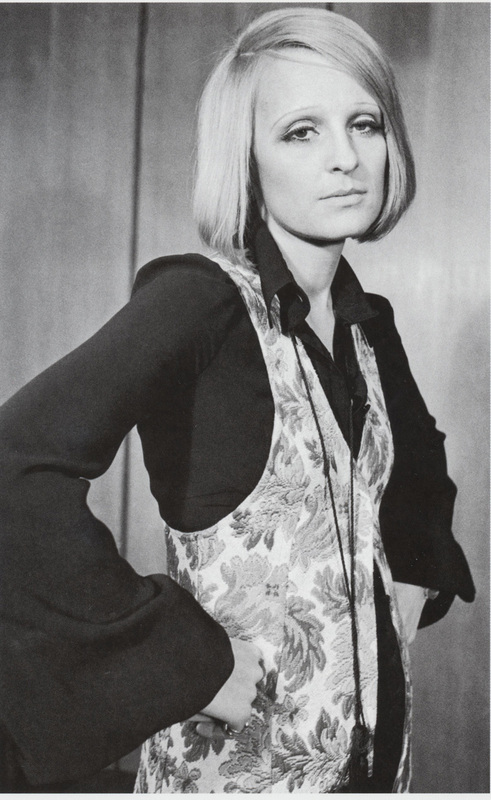 Looking back over a life and a brand, Beyond Biba concentrates largely on the woman Hulanicki has become today as owing to the experiences that shaped her iconic foray into fashion and later, interior design. Broken up into six main segments the documentary begins where it ought; Childhood, with Hulanicki talking about her memories of living in Warsaw, Poland and later in Palestine; it then moves on to her main passion which, perhaps surprisingly for some, is not “fashion” as such, but rather Drawing; the act of which leads to her infamous “big start” starring The Gingham Dress as featured in the Daily Mirror; but it wasn’t just Hulanicki’s passion for drawing and keen eye for fashion that led to the great success of Biba, it was – as with most profitable business endeavours – the product of a dream partnership with a man who simultaneously became her lover, Fitz; this led to The Shops: Abingdon Road, Kensington Church Street and finally, the coveted Kensington High Street; but creative differences between Hulanicki and her financiers was what ultimately put the nail in the coffin on Biba in 1974 when Hulanicki walked away from her once booming business, something she now views with deep Nostalgia. Watching the woman “who gave us high street high fashion” as comfortable and passionate in her new life as an interior designer to the likes of Chris Blackwood as she was giving ordinary English women in the late 1960s the opportunity to look chic and sophisticated without breaking the bank, is as warm as the woman herself. Beyond Biba: A Portrait of Barbara Hulanicki screens at ACMI on Sunday August 29 7.30pm, Wednesday September 1 2.30pm and Thursday September 2 8pm as part of their Fashion Icons on Film 2010 Melbourne Spring Fashion Week season. Written by Tara Judah for Liminal Vision.